Computer firewall configuration support is one of our core support services. Your computer’s firewall is a network security system that controls incoming and outgoing internet and network traffic to and from your computer. It comprises a set of rules for how programs access your network, and helps screen out hackers, viruses, and worms that try to reach your computer over the Internet. At Snappy Techs Ottawa, we offer technical help in making sure that your firewall is setup properly, and that all your programs behave accordingly when accessing your network. There are different kinds of firewall. Windows operating systems come with a built in software based firewall, which comes preconfigured. At times you need more configuration and if disable by some programs you may need help starting it up if you are getting errors or if it will not startup. 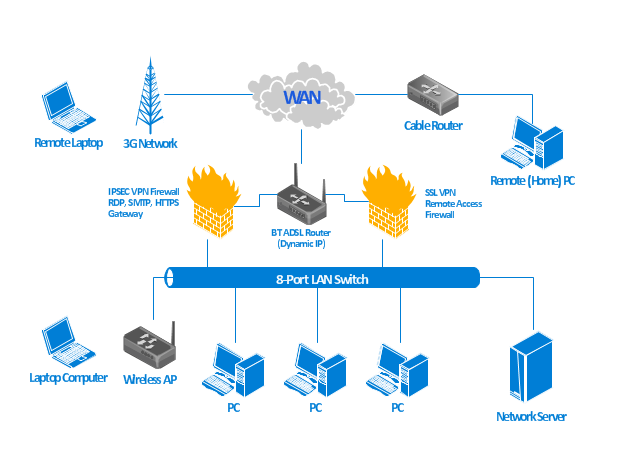 Hardware based firewall are typically implemented in your router firewall, but you still need your computers to have a firewall enabled as well. Hardware firewalls are ideal for situations where more than one computers are connected such as in SME offices. Having some firewall issues with your server or personal computer? Call our Ottawa technicians for help today. We inspect your laptop, server or computer to make sure that all connections to your device are the ones that are legal and allowed per your policies. We ensure that your firewall rules don’t have any holes in them that will allow any program data leaks etc. We are always available to provide support after service, and to ensure that everything is working properly and reliably.